In a perfect world, every customer relationship would be steeped in a complete understanding of the customer’s current wants, needs and desires. The trick of course is that getting anything that looks like that at all requires three things – incredible planning, thoughtful technology and consistent execution. The entire category of Customer Relationship Management (CRM) technology inherently offers the promise of this kind of relationship management while often providing little more than a historical account of a series of contacts, emails, phone calls and purchases. This is not to say that the technology itself is lacking. Most technology solutions are only as good as the planning that goes into the front end installation and consistency involved in the back end operation and execution. In many ways the CRM system is simply a tool that expresses the logical manner in which a company views its prospects and customers. In order to get a great deal more from the technology, you must get a great deal more strategic about how a lead moves through the various stages of becoming a customer and how a customer advances to the ultimate state or referral relationship. Special Note: If this idea resonates with you go grab an entire workbook, video and lesson on how to apply it to your business free of charge. Get it here. I believe that most every business can benefit by viewing their customer relationships through the lens of something I call The Marketing Hourglass.® The Marketing Hourglass is a series of stages that make up the customer life cycle starting from the point at which a prospect comes to know your business through the place where they become a loyal referral champion. The hourglass is far more effective in terms of customer relationship management than the marketing funnel approach because there is so much emphasis on the customer experience before and after the sale. 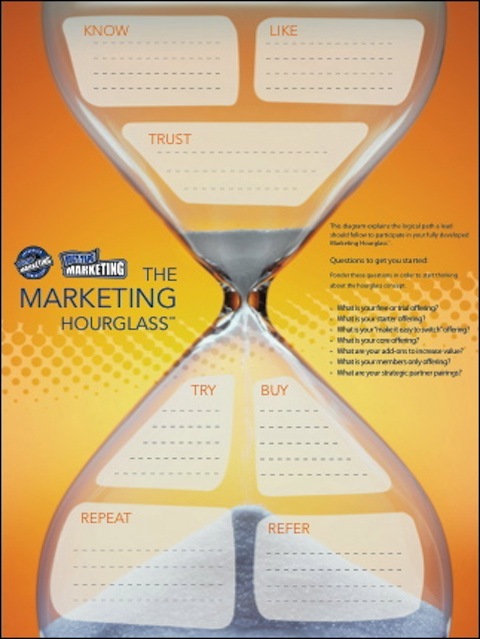 The seven stages of the hourglass are: Know, Like, Trust, Try, Buy, Repeat and Refer. In an effective customer relationship view each of these stages would have intentional tools, processes, actions, products, services and campaigns all designed to move someone in one stage on to the next. So, your ads (Know) would not try to sell, they would be designed to offer an opportunity to get to know more (Like) and potentially move the prospect to take an action based on trust, such as exchange an email address or sign-up for a demo. Most CRM makers and consultants will argue that this is precisely how CRM tools are meant to function, but experience tells me that few businesses are using them in this manner because the focus is on the tool and how to operate it rather on the business and customer objectives. 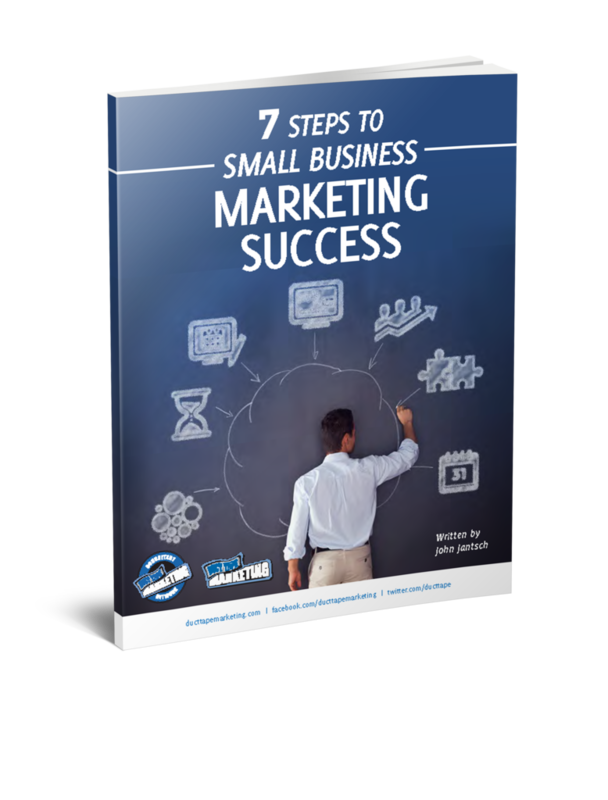 The Marketing Hourglass approach simplifies how to think about the overall relationship before you start to employ the tool to track and measure it. Once you’ve designed how you plan to move prospects and customers through your business you can attach the Marketing Hourglass labels to every contact in your CRM system as a way to keep tabs on the work you have left to do in your relationship building system. Once you define and label the logical path you’re using to deepen your customer relationships you can start to use your CRM tool to visualize where every lead and customer is in your hourglass and this gives you the ability to easily view where you’re system is breaking down, where there are jams, and where it needs your attention. One way to further think about this intentional staged approach is to view every person in one stage as a lead for the next stage. For example, a customer in the (Buy) stage should be looked at as a new lead for the (Repeat) stage. This allows you to build better processes, such as results reviews and additional educational touchpoints, aimed at moving them to that next stage. Once a customer moves to the (Repeat) stage they are now a hot prospect for your (Refer) campaign, but only then. As you can see all of this staged activity takes planning to get set-up and a great deal of execution to produce results, but the Marketing Hourglass breaks the entire relationship management practice into logical parts and allows you to think in terms of a logical global path. At this point your chosen CRM tool can become the most powerful tool in drawer.